What would you do for your country? In Afghanistan, a US Army Patrol is devastated by an enemy with sophisticated weaponry, while in D.C., Pentagon staffer Scott Jenson tips off the ambitious young reporter Brooke Kinley about a billionaire businessman’s involvement in terrorism. But why is the White House determined to protect this businessman, and why does the answer seem to lie in the Canadian wilderness? In a dangerous journey to the remotest parts of the world and the darkest corners of men’s hearts, Brooke races to prevent a catastrophic attack on America, but can she uncover the real traitor? Debuting at #13 on Amazon.co.uk for International Mystery & Crime, new bestseller Patriot is a pulse pounding, high octane adventure thriller with a heroine who is as happy running rapids as she is asking difficult questions at the Pentagon, its Homeland channeled through Bear Grylls. This debut novel by A.S. Bond will be appreciated by fans of Clive Cussler, Robert Ludlum and Tom Clancy. A.S Bond is an internationally acclaimed travel writer and journalist. As the author of seven books, her own adventures have taken her around the world, from the cloud forests of Central America to D.C.’s corridors of power. When writing Patriot, A.S. Bond drew on her experience of leading an award-winning canoe expedition in Labrador, later the subject of Lost Lands, Forgotten Stories; A Woman’s Journey to the Heart of Labrador published by HarperCollins in North America and Eye Books in the UK (written under the name Alexandra Pratt). 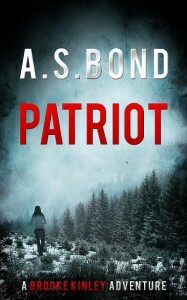 This gives Patriot a sense of ‘realness’ that draws readers deeply into the story. And like her heroine Brooke Kinley, Bond has also lived in Washington D.C. and worked as a journalist. 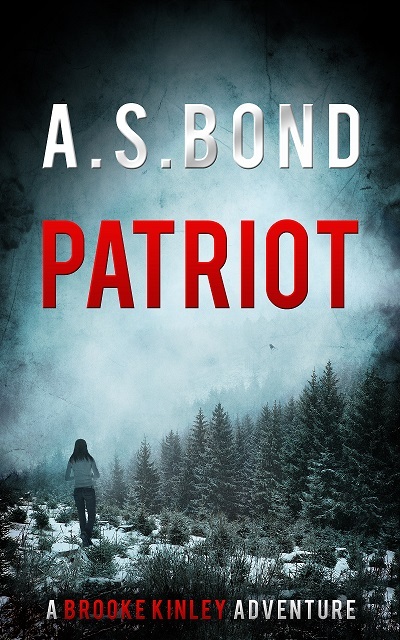 Patriot is now available as an ebook or in paperback through Amazon, Barnes & Noble, Apple and Kobo, Diesel, Sony, Aldiko, Scribd, Flipkart, Oyster, Page Foundry and to libraries via the Axis 360 platform by Baker and Taylor.